Discussion in 'Joomla' started by Bo0mB0om, May 12, 2017. 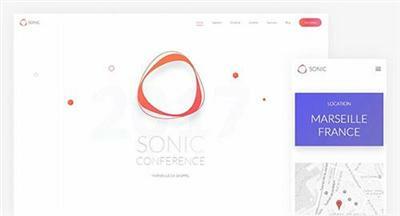 It's March and Spring is finally coming around the corner bringing fresh colors and Sonic, our latest website release. Sonic comes with a clean but vibrant style, that features gradients on text and UI elements as well as layered background styles. A new topic and seven custom layouts cover the needs of any event website - in this case for a conference.